This is a multi-layered acrylic on 20" x 20" gallery wrapped canvas. The sides are painted to match the painting, and there is a wire for hanging on the back. 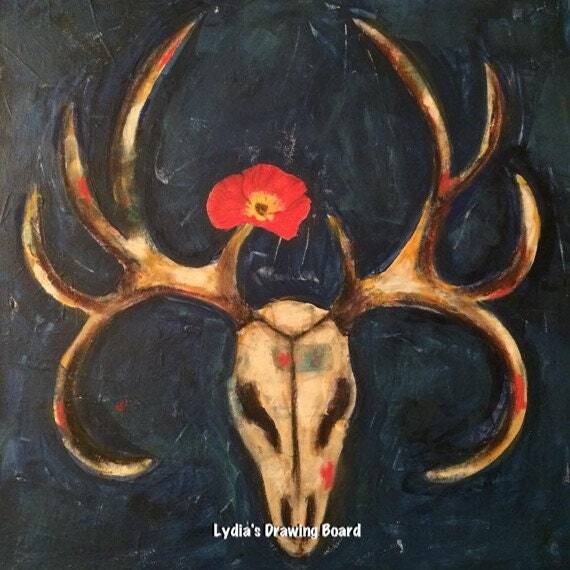 This is my version of an offering, which contrasts a deer skull with a bright red poppy. Life and death. The background is a dark blue with some texture.